يشكل فندق ريبابليك للشقق الفندقية بموقعه الممتاز في منطقة مطاعم, تسوق, سياحة ضمن المدينة، مكاناً ملائماً لقضاء العطلة بعيداً عن عجقة أيام العمل. يقع الفندق على بعد 0.2 Km من مركز المدينة، ويؤمن الوصول إلى أهم مراكز المدينة. يضفي محيط الفندق اللطيف وقربه من أكثر المعالم السياحية جذبًا سحرًا خاصًا على هذا الفندق. كما يقدم ريبابليك للشقق الفندقية الكثير من الخدمات لإغناء رحلتك في المدينة. يمكن لضيوف الفندق الاستمتاع بالميزات التالية على أرض الفندق: واي فاي مجاني في جميع الغرف, تسجيل وصول/خروج سريع, تخزين الأمتعة, صف السيارات, غرفة عائلية. لقد جهزت هذه الإقامة الفندقية بعناية فائقة لتوفر مستوى عالي من الراحة. في بعض الغرف يجد النزيل تلفزيون بشاشة مسطحة, اتصال لاسلكي بالإنترنت, غرف لغير المدخنين, مكيف هواء, تدفئة. إن حوض استحمام ساخن, مركز للياقة البدنية, حمام سباحة خارجي, حمام سباحة داخلي, سبا هو المكان الأمثل في الفندق للاسترخاء وتفريغ طاقتك بعد نهار طويل. إن ريبابليك للشقق الفندقية هو خيارك لخدمة الفنادق الراقية في المدينة. مكتب الإستقبال مفتوح من 07:00 صباحاً إلى 06:00 مساءً خلال أيام الأسبوع ومن 08:00 صباحاً إلى 03:00 مساءً خلال عطلة نهاية الأسبوع. الضيوف الذين سيصلون خارج هذا الوقت يطلب منهم التواصل مع العقار مباشرة قبل موعد الوصول لترتيب هذا الأمر. يمكن إضافة ماكينة طهي الأرز في الغرفة عند الطلب. We had a one bedroom apartment which suited us very well it’s not brand new, and had everything we needed for a three week stay ,all the amenities,clean ,good location and the staff were very helpful,it offers more than just a hotel room ,and yes we would stay again. We thoroughly enjoyed our stay at Republic Appartments. The location was ideal. Not far to city centre and river. The supermarket Woolworths was just downstairs as was a bottle shop, chemist and cafe. The apartment itself was spacious and clean but could do with an update. The bathroom and kitchen we’re tired but apart from that we could not fault it. Would definitely recommend this place. Was a fantastic location for our plans. The apartment was stunning. Had everything we needed. Easy to find. Clean, comfortable and would definitely book it again. In Sep 15th-18th 2018, Traveling with a young child this 2 bed apartment provided all our needs. Woolworth is right next door where you can buy all food and household items that your family needs. The apartment itself has an equipped kitchen with a 4 burner stove, microwave, kettle, pots and pans, all cutleries and cups and glasses, drying rack, washing liquid, scour pad, kitchen towel, coffee, tea, sugar, salt, pepper all available. There is also the washing machine and dryer available for washing clothes inclusive of detergent provided for as well as iron and ironing board. For room comfort it’s what a hotel would provide include toiletries, hair dryer, extra pillows and blankets as well as basic wardrobe racks and clothes hanger. Water pressure is good and apartment looks new, clean and in good shape and has a modern feel to it. We also appreciated the 2in1 heater and air conditioning. Stayed on high floor, great view and pretty windy. Uber to town AUD $7.50. Great stay! Booked the 2 bedroom apartment. Both bedrooms are quite small, difficult to open up our luggages. Weird floorplan as it has 4 balconies (1 in living hall, 1 in room 1, 2 in room 2) and all was not connected and in the rooms it was blocked by the queen bed. The living hall balcony is even bigger than the rooms. 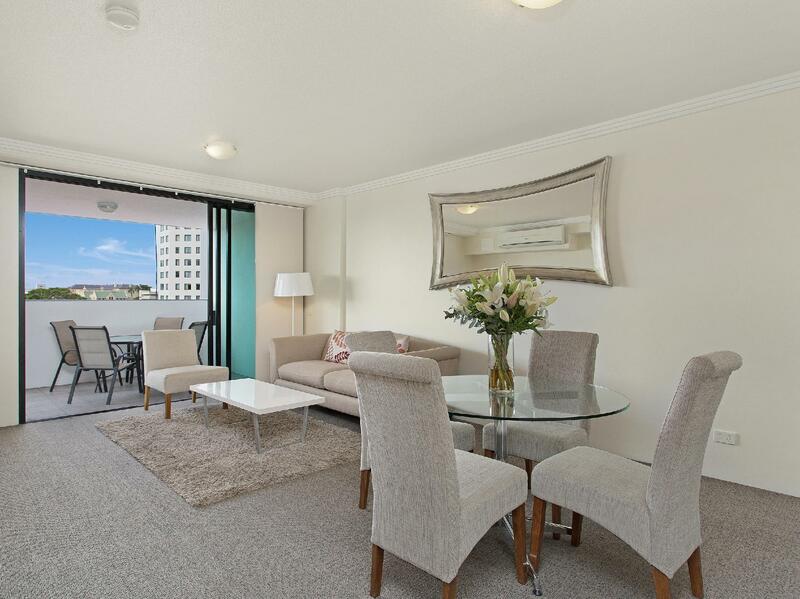 The apartment is neat and tidy, location is good nextdoor is Woolworths and a short stroll to the city. Overall stay was good. The location was perfect as it was next door to the shops and 5 minute walk to China Town. The staff were so accommodating and even managed to get things sorted so my family could visit. The unit itself was fresh and clean. Thank you! We booked the two bed, two bathroom apartment on the ninth floor. 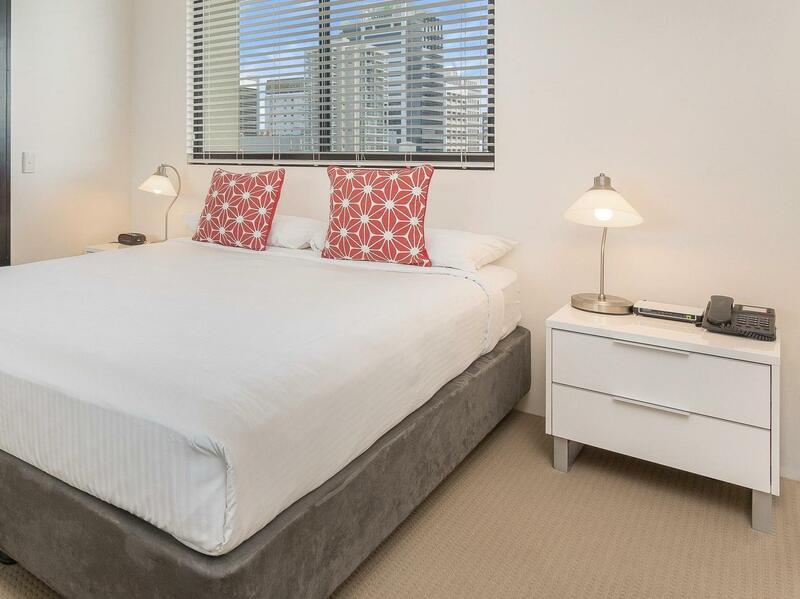 Tidy without being extravagant as is usual for rental accommodation, rather than a hotel. 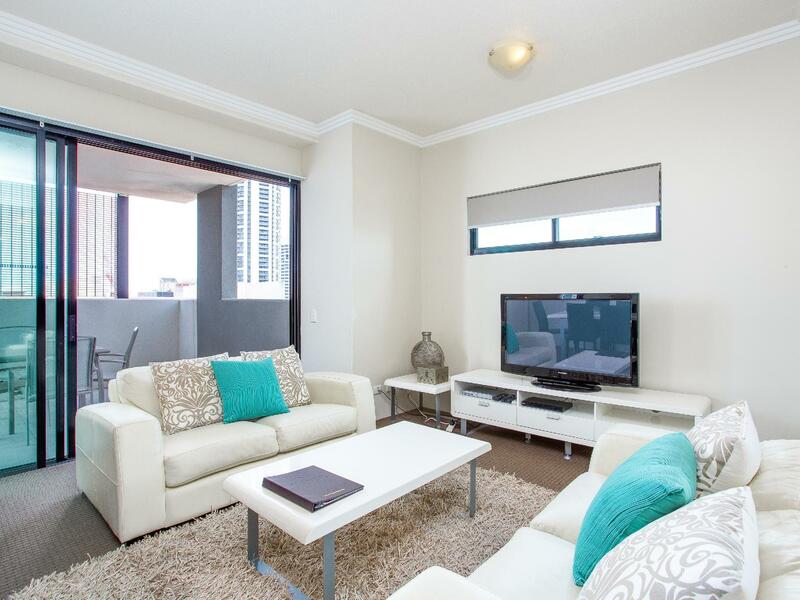 Its main merits were its value for four people, and its location to the CBD and Central station. Training to and from the airport was an option. Maybe a hill climb to get back, but there was a free inner city bus route that came within two blocks. Drawback was the three lane, one-way road out front which seemed to baffle the local Uber and shuttle services. Most dropped us off down the road, particularly Con-X-ion that advertised door to door. Would go back, but take the train. Had a great stay. Convenient location with woolworths and a bottle shop right around the corner. Parked the car in the carpark the entire time (parking wasn't included with agoda booking, paid additional) and comfortably walked everywhere we needed to go. Stayed in the 2 bedroom 2 bathroom on level 11. Nice views of the city scape. Room itself was slightly dated but spacious and functional. Staff were pleasant. 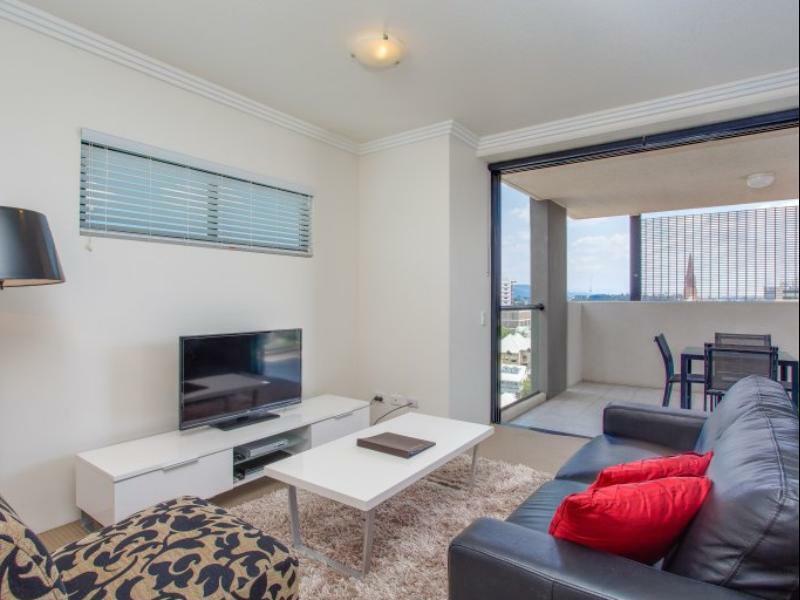 Great apartment with stunning views of Brisbane city. Quite central to the Brisbane CBD and public transport. Supermarket next door was a bonus! Very friendly staff, who were very helpful. Thoroughly enjoyed the stay! The location is excellent, right beside Woolie, the supermarket. The room is spacious and the kitchenette is clean and tidy. It's a pleasant stay at the Republic serviced apartments. We have a 1.5 years old girl and it is convenient to buy food from the supermarket as it is right beside it. It is near to the City and the room is clean. Location is good which can walk to city center. Facilities are keeping quite clean especially kitchen is quite impressive... good! And they provide free parking for us which highly appreciated. A good deal with above average staying. Staff, staff, staff also next to woolworths supermarket! Great stay hers at Republic and I can highly recommend this place either for short or long stay. Stayed here half a month and the few best things about the place was the staff especially Adam who always went out of the way to help in any way they could. Extremely attentive and fantastic staff who are always smiling! Next best thing was that this apartment is located next to a small/mini shopping plaza with Woolsworth supermarket right next door, less than 30 to 40 steps away. 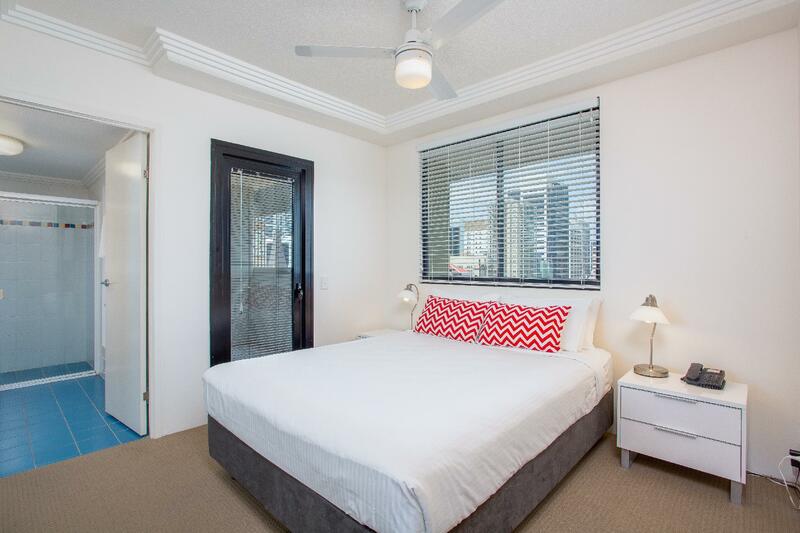 Overall great stay and within a 10 - 15 minutes walk to either Queen street or Chinatown. Would stay here again when in Brisbane!!! Kudos to all the staff of Republic Apartments. we arrived late after the reception closed, however, our keys was pre arranged and put into the night save and i've gotten the password from the reception in advance, so that made our check in very smooth and easy. very nice and comfortable interior with gorgeous city view, the swimming pool was lovely. very convenient location, wish we could have stay longer. Apartment is clean and comfy. Located next to Woolies...so super easy getting groceries and essentials to kick start our road trip in Queensland. Clear and easy late self check-in process. Lots of nice cafes within walking distance. The apartment was clean, quiet, spacious and well equipped. Our children loved the swimming pool and wi-fi. The block is well located near shops and the city's attractions. The reception staff were friendly and helpful. We would love to stay there again. Perfect apartment, very well equipped, bright, modern and clean. The staff is very helpful and nice. A supermarket is next door and both shopping center and river by 10 minutes walking. Best apartment we ever lived in, we didn't want to leave. We stated in a 2 bedroom apartment. The check in staff were lovely but the apartment was disgusting. There was a large burn hole in the couch and it was otherwise covered in filth, there was driping filthy walls outside the bathroom. There were patches of paint and chips missing frm most every surface and the carpets and curtains were stained. Its not often you rent a hotel room and choose to sit on the floor rather then touch the couch. The staff were accommodating and lovely but clearly the business owners do not give a damn or rather a cent in maintenance and upkeep.